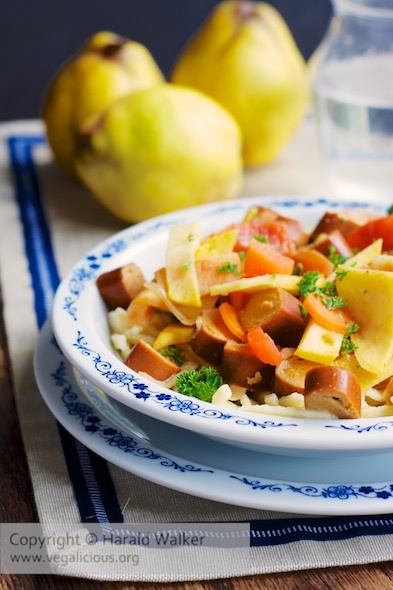 This is a really delicious sweet sour meal for the autumn using seasonal food. Rutabaga and quince become ripe in the fall and might be available in many places now. Posted by Chris Walker on October 29, 2014 in Main Dishes, Quince, rutabaga.